For a landscape designer, there are so many variables that come into play. The Woodlands TX, and surrounding areas has such a diverse landscape that covers all kind of different terrain and size area. 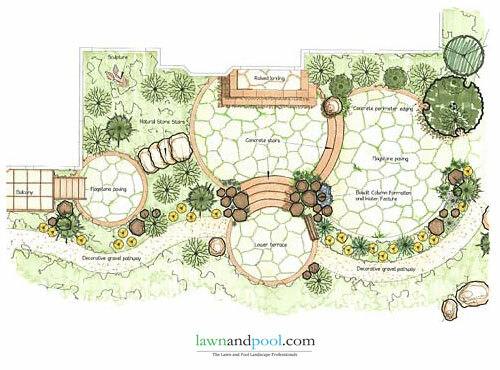 A good designer needs to be well-versed in all aspects of plant & tree knowledge, drainage & irrigation, hardscape layout and patio experience. Lawnandpool.com Landscapers has a HUGE advantage over any other company when it comes to designing to fit a budget. Why? Well….we know how important it’s for our customers a beautiful landscape in their homes performed by professional landscapers in an affordable price in this days. We know how to integrate your landscape ideas, to our designs working together to get a beautiful projects, based on a realistic and affordable budget! A Landscape Design by Lawnandpool.com in The Woodlands TX, needs to start with the designer getting to know the client. Once a designer can understand the client’s needs, wants, desires, dreams, and goals – he can start offering ideas and solutions to each of those aspects. * Did you know that, a beautiful landscape increases the value of a property? CALL US: 936-321-9458 *Office hours: Monday - Friday 10 am - 3 pm. Copyright © 2000-2019 Lawn Care|Landscaping Services in The Woodlands, TX|Spring, TX|Conroe, TX Follow us in facebook.